Syndrome X or the metabolic syndrome is a cluster (constellation) of conditions that form a specific, health challenging entity. Insulin resistance is a key issue in Syndrome X.
coronary artery (heart) disease. America's #1 Killer! 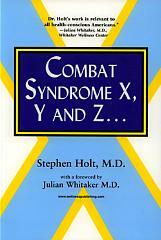 "Combat Syndrome X, Y and Z"
seen by several physicians previously and they often have complex disorders. training in nutrition, clinical pharmacology and medicine of addictions. referral. Dr. Holt believes strongly in preventive medicine and the application of natural, first-line options, in the absence of a medical emergency. the soon to be published, "The Meno Plan." His other books can be found on Amazon.com. questionnaires combined with key medical findings that can form an "index"
index as the "Syndrome X Clinical Index." alcohol or drug abuse and the development of risk indices for cardiovascular disease. These diagnostic tactics are based on a combination of clinical features (symptoms or signs) or laboratory indicators (e.g. blood tests) of the disorder to be detected. Screening instruments, such as these, work on a principle that the greater the number of disease related symptoms or signs present in an individual, the more likely that the individual has the disease in question. My colleagues and I have developed several screening instruments to detect alcohol or drug related problems and probe aspects of adverse lifestyle (Skinner HA, Holt S, Schuller R, Roy J, Israel Y. Identification of alcohol abuse using laboratory tests and a history of trauma. Annals of Internal Medicine 101(6): 847-51,1984. Skinner HA, Holt S, Sheu WJ, Israel Y.
indicators. Canadian Medical Association Journal 124(10): 1279-94,1981). or clinical or laboratory indications of the disorder. 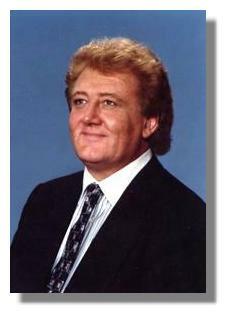 In the case of Syndrome X attempts have been made to construct questionnaires or lists of medical tests with diagnostic ability, but these approaches have not been validated for their accuracy in the detection of Syndrome X (best selling books by Reaven G. and colleagues, Syndrome X, Challem J. and colleagues, Syndrome X). symptoms and signs or medical findings in people with Syndrome X.
Irregular menstruation, infertility related to polycystic ovaries. high-glycemic- index- type food intake, substance abuse. Gestational diabetes, diabetes in pregnancy. more than 15 pounds overweight. Signs of the Polycystic Ovary Syndrome (Stein-Leventhal Syndrome), obesity, acne, excess of body hair in young females etc. Eye disease, cataracts, changes in the retina. High total blood cholesterol with raised LDL of "dense type"
Table of the Components of the Syndrome X Clinical Index. • Lifestyle changes can promote health and longevity. • Maintain an optimal weight. • Control elevated blood pressure. • Engage in physical activity. • Do not smoke or inhale secondary smoke. • Pay special attention to your psychological well-being. • Do not use dietary supplements as a way of supplementing a lousy diet. • Remember the mirror principle in life: your input is your return. • Moderation in most pleasures is advisable. • Use natural substances to promote cardiovascular well-being. Click here for the Secret of Soluble Fiber.• Conventional medicine, when applied appropriately, has immense advantages for health. • Natural approaches can often be the first line option for wellness. SYNDROME X or its components. OPTIONS OF NUTRITION, EXERCISE AND OTHER LIFESTYLE CHANGE. effective e.g. supervised exercise, smoking cessation, etc. BALANCE BLOOD SUGAR AND HELP WITH WEIGHT CONTROL. heart" of the soybean where isoflavones are most concentrated.